What is your opinion about the individual health insurance mandate? 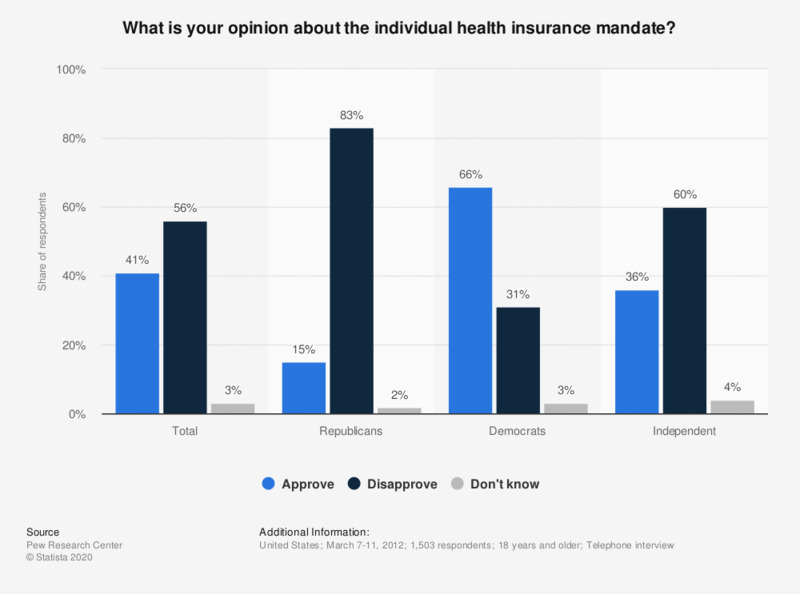 This statistic shows the opinion of Americans on the individual health insurance mandate, which is part of the health care law, enacted 2010 and also known as Obamacare. The survey was conducted in March 2012. Overall 41 percent of the respondents approve of the individual mandate, while 83 percent of the Republicans disapprove. What should Congress do with the health care law (Obamacare)? Expectations of change in 2012 employer health-care costs in the U.S.
How companies are cutting health care costs in anticipation of "Obamacare"